Are you a bona fide animal fan? Do you love nothing more than a long walk with a furry friend? If so, then a career in pet sitting may be just right for you. In this first lesson, you’ll discover what pet sitters do, what the many benefits are, and how to determine if there’s a strong market for this business in your area. The good news is, you don’t need lots of money to get started—your love for animals, your strong sense of responsibility, and the knowledge and skills you’ll learn in this course will take you far! In this lesson, you’ll find out how to care for dogs. You’ll see that feeding is more than just putting food in a bowl as you discover how to determine food and water quantities for the dogs you care for. You’ll also learn about some of the ways to help Spot get the exercise he needs without overdoing. We’ll examine the dog’s vital signs—the signposts to health—and review specific conditions dogs sometimes develop, so you’ll always be able to assess the overall health of your canine clients. Finally, we’ll consider two emergency situations that can mean the difference between life and death for a dog and outline what to do if they arise. In this lesson, you’ll gain an understanding of all the ways that cats are not just little dogs. You’ll see that feline nutritional requirements are unique, and you’ll explore the latest guidelines for ensuring that cats get the nutrition they need. From hair balls and abscesses to more serious conditions, such as thromboembolism and urinary blockages, we’ll examine the particular health concerns you’ll need to be aware of as you care for cats. You’ll learn how to identify these diseases as well as others and evaluate a cat’s vital signs so that you can be alert to emergency situations. Can you tell a timid dog that’s smiling from an aggressive one that’s baring his teeth? What would cause a cat to use your sofa for a litter box? In this lesson, you’ll gain insights into how dogs and cats think. You’ll gather quick tips on how to protect yourself when working with aggressive cats and dogs and also learn strategies for dealing with common feline and canine behavioral issues you’ll encounter as you care for them. In this lesson, you’ll learn how to recognize and deal with emergencies that can arise in your role as a pet sitter. You’ll delve into what to do with a bleeding pet or if one of your pets in care has an allergic reaction or experiences shock. You’ll find out what to do with conditions such as vomiting and diarrhea, foreign bodies, and eye problems, and what to do during the birthing process. Then we’ll cover poisoning and examine common toxins that pets may encounter. Finally, you’ll learn how to respond to emergencies with a review of how to do CPR in pets and what to include in a first aid kit. Have you ever gone into an interview totally unprepared for what happened? Did you make a poor impression? This will never happen to you in pet sitting! In this lesson, you’ll find out how to make the best impression to a new client—what to say and how to act. You’ll also consider how to assess the impression prospective clients are making on you—and how to refuse a client. Next, you’ll gain an appreciation of how much you can earn and how many calls you can do in a day. Lastly, we’ll look at how to get organized so you can get the most out of your new business. In this lesson, you get right into the thick of your new career by finding out what to do during the home visit. You’ll learn about what kind of information to get from your clients in advance and how to assess their needs based on the kind of services they request. Next, you’ll explore all the elements of a home visit, from managing keys and alarm systems to feeding, exercise, and everything you need to do to keep the pets healthy and happy day to day. Finally, we’ll get a first look at some of the little extra things you can do to offer the kind of service that keeps your clients coming back for more. What happens when a pet you're caring for gets lost? What if the animal needs expensive veterinary care? Will you be stuck with the bill? In this lesson, you'll learn to cope with some of those sticky situations that pet sitters occasionally run into on the job. This includes losing a pet, the sudden death of a pet, as well as handling medical emergencies. You'll also learn how to handle some literally sticky situations—such as how to administer injections, eye and ear drops, and other kinds of medication. There are countless ways to get clients to call you and book your services. In this lesson, you’ll discover the different tools and techniques you can use to build your clientele. You’ll start with basic marketing materials, and see how to exude a professional image through business cards and brochures. Then, we'll delve into advertising, and consider whether paid advertisements are worth the money. We'll also discuss how to use things like press releases and social media to get free publicity, and whether joining professional organizations can boost your business. Finally, we'll explore ways to establish and deepen your relationship with clients once you've caught their attention—from how to handle that first phone call to special things you can do to keep clients happy and loyal. At this point, you've developed the skills and knowledge to be a successful pet sitter. But how do you set up shop? In this lesson, you’ll see how to establish your business, including both your actual office and the legal structures you have to have in place to keep your venture stable. You’ll learn about the licenses you'll need and get a good sense of why contracts with customers are so important. You’ll appreciate the different types of insurance, both for the business and you personally. Finally, you’ll learn the ins and outs of employees—when to hire them and what they cost. Time to hit the books—the financial books, that is. In this lesson, you’ll delve into the world of accounting so you can see where your business is heading financially. You’ll find out how to determine start-up costs as well as the ongoing costs of running a pet sitting business. You’ll also come face to face with the necessity of getting your bills paid, and get some suggestions to ensure your clients pay in a timely fashion. Finally, we'll explore the importance of writing a business plan to set a road map for success and help you convince lenders that your new business is a solid investment. 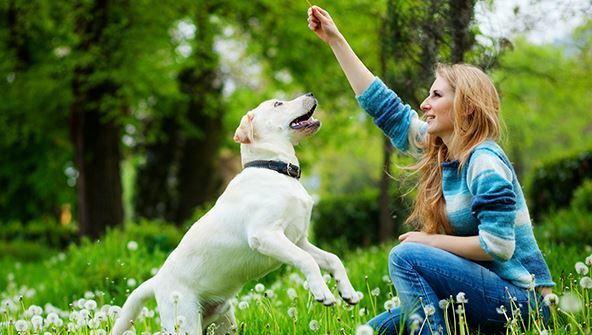 You’ll discover that pet sitting doesn’t have to be just feeding and watering the cat or dog. As a pet sitter, you are perfectly positioned to add other services. This can include grooming for the animals you look after, cutting their nails, and brushing their teeth. Then there are services such as dog walking, puppy care and training, pet taxi, home sitting, and even poop scooping. You’ll also learn that there are other species to look after, each requiring their own expertise.